Back on the show is Monty Nero, the writer behind the indie success comic DEATH SENTENCE. Monty also shared his work schedule and life as a parent balancing career and family. 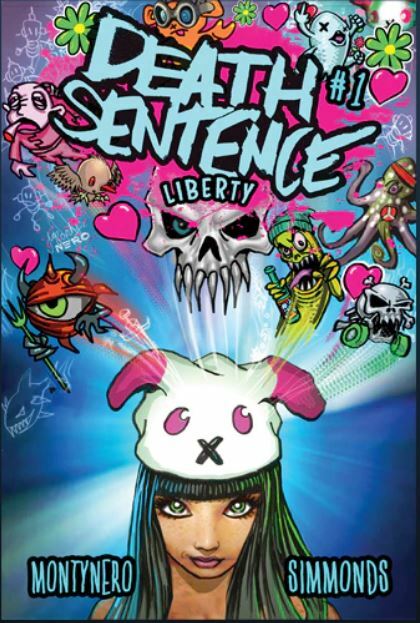 DEATH SENTENCE is a wild and psychedelic book that proffers the question — would you risk getting an STD if it meant you would die in six months but in that time you would have some kind of superpower? Death Sentence is a story about wanting to live life first; but then there’s the consequences of how politics and militarization invade personal choices. Monty shared so much information about the making of the Death Sentence comic and other projects like HOLLOW MONSTERS including how the processes are different for each. 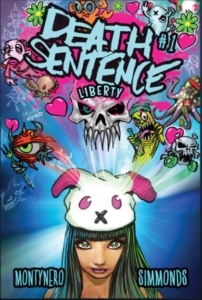 Death Sentence: Liberty is the latest volume in the story and has once again been successfully funded through Kickstarter; there’s still time to hop on and back the issue so that you can help unlock more milestone rewards and make sure you get the new issue delivered right to you. One thing that Monty has done to ensure success is that the issue is complete by the time he launches the Kickstarter. As with the previous volume, Martin Simmonds is back as the artist while Monty does the lettering himself. We discussed the collaborative process and color palette choices. The scenes shift from the colorful Verity graffiti pages to the subdued, secret lair of Jeb and the government agents investigating. Roots is a newer character. She’s a black woman who chooses to grow designer strains of marijuana using her STD-given ability to manipulate plants. She and Verity will come together more in the coming chapters. A surprising turn of events was when Monty realized that his science fiction story didn’t have as much fiction as he planned. The governments around the world have circled around to revoke rights and personal liberties even if it’s not happening to super-powered humans. 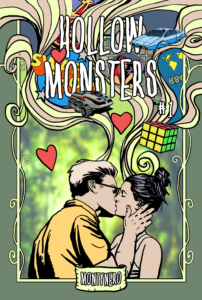 With HOLLOW MONSTERS, Monty is doing all the jobs of writing, drawing, coloring, and lettering. This comic has been shortlisted in the Best Writer, Best Artist, and Best Single Issue categories for the Scottish Independent Comic Book Awards. Monty’s unfettered love of comics is evident as he talks about how unique comics is as a medium offering an experience that you can’t get from film or novels. 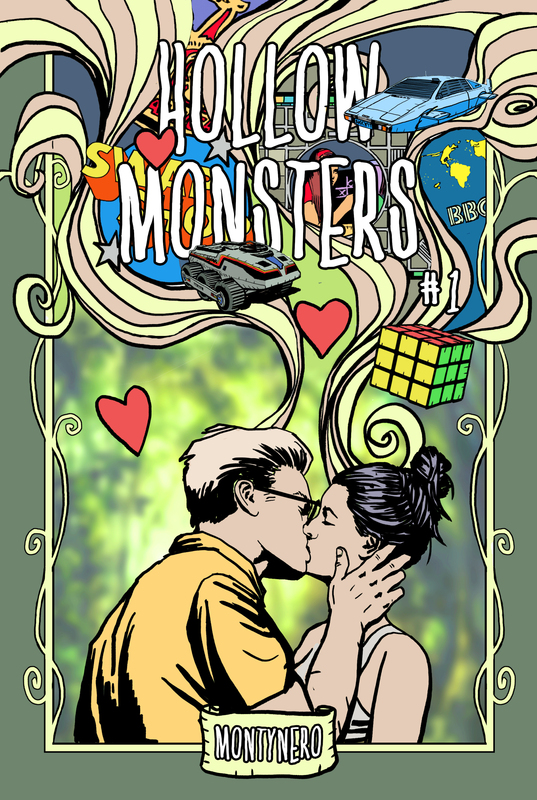 “Hollow Monsters is my attempt to move the graphic novel into new territory, by creating something ethereal, disturbing, challenging and profound, something which could only exist via Kickstarter.